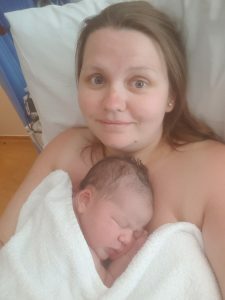 Birth Annoucement and Story – 2 months late! Well if you follow me on social media you will already know! I gave birth to baby number 2 just over 2 months ago! Laide Harper Sokeyo was born on 6th May 2018! Throughout my pregnancy with Laide I fought to be allowed a water birth. Something that I was denied at the very last minute with Lola. I mentioned it at every single midwife and consultant appointment. Little did I know I wouldn’t even get to the delivery suite let alone have a water birth! 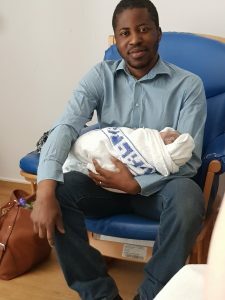 On 6th May I was 40+4 and woke to some period pains at about 1am. I fell back asleep quickly but then woke again at 3am but this time I couldn’t fall back asleep. I downloaded a contractions app and started timing them at 3.39am. By about 5.45am I was started to having contractions every couple of minutes, they were painful but bearable. I waited until 6.30 to get in the shower to help relieve the pain a bit. Once out the shower I decided to ring maternity triage to tell them I thought it was early labour but the contractions were pretty close. The midwife told me to head up to the hospital if I wanted but not to rush and make sure and have some breakfast at home. At 7.15 I woke up my Mum to look after Lola whilst we went up to the hospital just to be checked! We finally left at about 7.45, thankfully we only lived (we’ve since moved) 10 minutes away from the hospital! Honestly in no rush at all. We got to the hospital at 7.57 and Babs parked outside the women and children’s entrance as I couldn’t face walking from the car park. All this time the contractions were coming thick and fast but still bearable. As soon as we arrived at triage we shown into a room. I was asked to do a urine sample but could barely do anything between each contraction. Once I got back to the bed I had to press the button to call for the nurse as I felt the need to push. She came in and examined in (in literally a minute!) and said I wasn’t quite fully dilated so not to push, she ran out quickly just to get someone else so they could take me to delivery. Just as she walked out the room my waters went and in the next push the baby’s head was born. She came back in just as the baby was coming out at 8.13am! Unfortunately, as it all happened so quickly it caused the baby slight stress and there was a lot of meconium in my waters. The room had been quickly covered in blood, amniotic fluid and meconium! 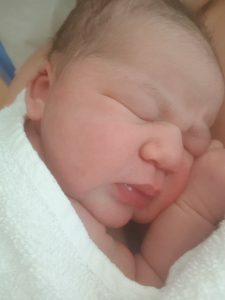 I did not stop apologising to the midwife! Laide was laid on to me instantly for skin to skin and Babs was able to cut the Umbilical cord. Laide latched immediately and fed for about half an hour whilst we were waiting to be moved. Although it wasn’t the best latch we soon adjusted that. It then took about another 15 minutes before the placenta was delivered. We were taken round to delivery for a number of reasons. I needed to have stitches, they needed to clean the triage room and they needed to do all the intial checks on Laide. We started phoning and messaging family and friends but nobody believed I had given birth so quickly! We kept trying to ring my Mum but as she didn’t expect it to all happen so quickly she had left her phone upstairs on charge! When I finally managed to get through on the home phone she did not believe us at all until we sent photos!! To be honest i’m still in shock that it all happened so quickly! 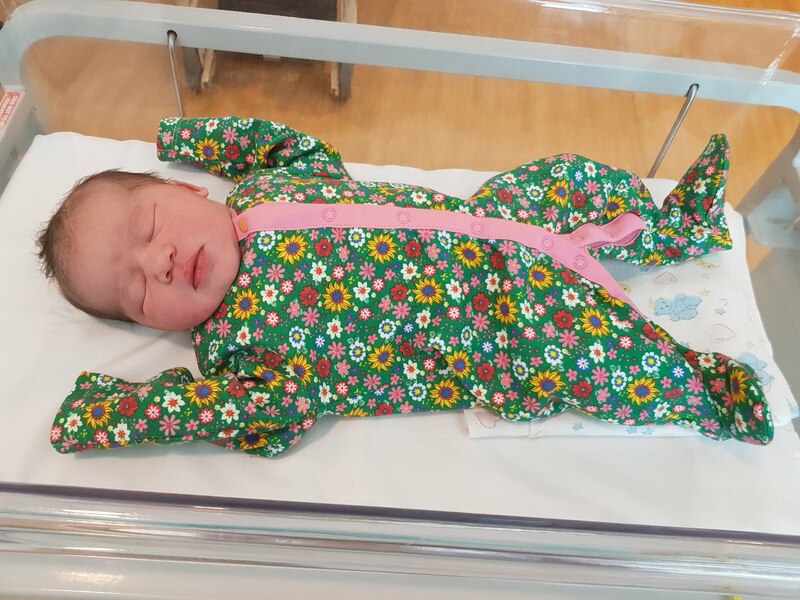 When Laide was finally weighed she weighed 8lb 6oz which is exactly the same as what Lola was when she was born. Due to the meconium in my waters it meant that we had to stay for 12 hours. Laide needed to be monitored as she was at high risk of infection. Throughout the day she pretty much slept and fed! Thankfully as I had given birth at 8.13am we didn’t have to stay in over night and I was allowed out the same day. They completed her newborn checks whilst we were still there but we had to go back for her heading test. I really wanted it to just be Babs and I when Lola met Laide for the first time. 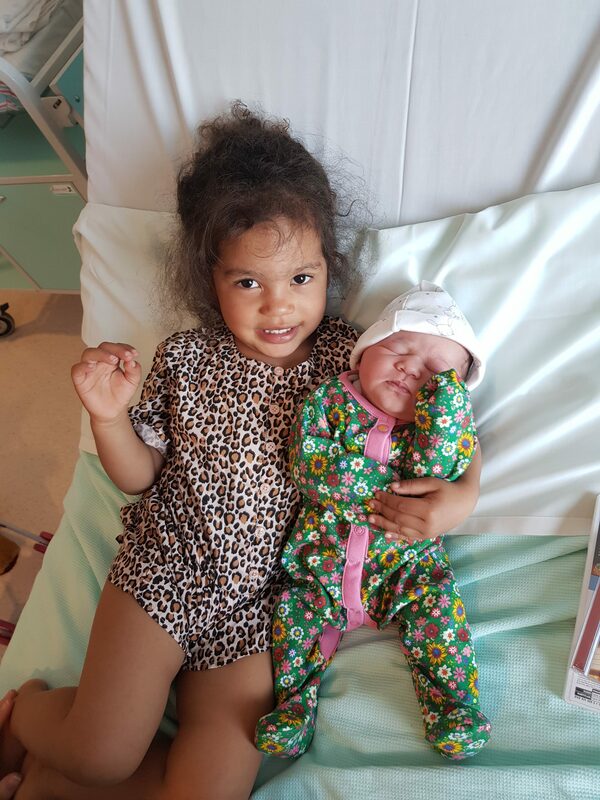 My Mum came up to the hospital with Lola and Babs went down to get Lola and bring her up to us on the post natal ward. Her face when she walked in was absolutely priceless. She came over to Laide amd I immediately was honestly in absolute shock that the baby had arrived! Lola asked me to put the baby on the bed so she could have cuddles with her. From that moment on Lola has not left Laide alone at all! We didn’t actually name Laide until she was 3 days old. We were so undecided on her name. I wanted Harper. Babs wanted Laide. We both hated the other name! Laide is pronounced lie-day and means wealth in Nigerian. I finally gave in to Babs and agreed on Laide on day 3! Lola knew we were undecided between both names and she agreed with me so even now calls her Harper a lot! I’m now actually quite thankful we didn’t call her Harper because the amount of babies that have been born since that have been called Harper! I hope to be able to get back to blogging now a couple of times a week. 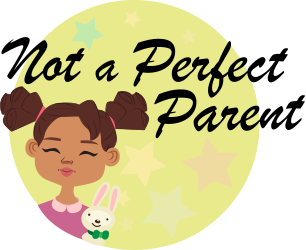 There will further updates and posts including going from 1 to 2 children, All about Laide, Lola update and post partum for me! So if there is anything else you would like then please let me know!